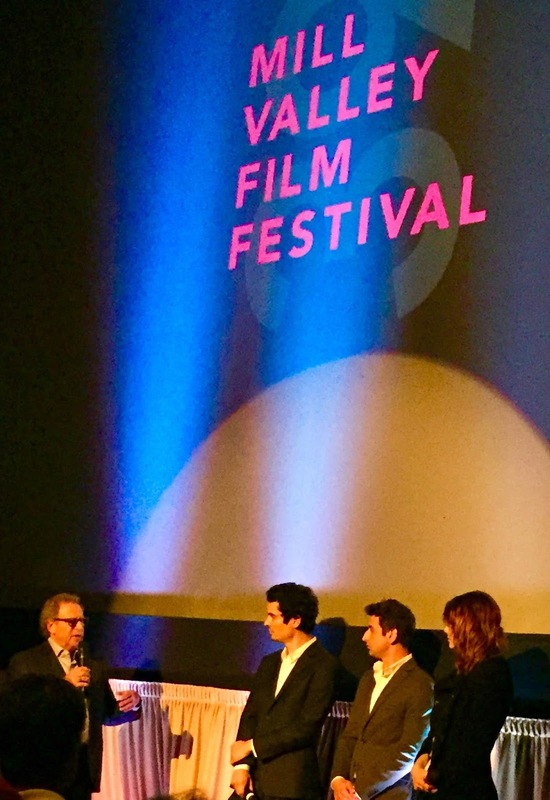 The opening and closing films of the 39th Mill Valley Film Festival were both romances, different from one another as night and day. The starting film was about elusive love. Written and directed by Damien Chazelle, LA LA LAND is a romantic musical whose comedic elements facilitate the dramatic. It feels like a cross between Preston Sturges’ Sullivan’s Travels and Singing in the Rain. LA LA LAND’s enduring impression is a sensibility for people defined by creative aspirations. The title, LA LA LAND, is a double entendre. The more concrete allusion calls up the musical note ‘La,’ as in the Rogers and Hammerstein’s Sound of Music, “La is just to follow so.” What marks the feature as a high concept film is the other meaning— the rarely attainable, though ubiquitous, high hopes for creative success in the unreal Los Angeles — while moving into the developmental stage of adult intimacy. Ryan Gosling and Emma Stone act (and dance) in subtle ways. Their performances are beyond being the coat hangers for music, choreography, and the exquisite mostly on location scenery. Complexity of the main characters is clarified by the arrival of the co-star, John Legend, at the mid-point of the film. He draws the arrow telling Gosling’s character, a musician, that there is only one path to follow. That way pushes him away from his lover, Stone, a writer. The opening scene of La La Land is set squarely in one of the plagues of Los Angeles life.